Ladies, listen up! The new TiLi Box from QVC Beauty has launched and I’m sure you’re going to LOVE whats inside; I certainly do! TILI stands for Try it Love it which is aptly named as inside each TiLi Box you’ll find deluxe sized samples of the latest products and cult classics, all from brands available at QVC. Some you may be familiar with, others may be new to you but with QVC, you know you’re always going to get high quality and great value; that’s the beauty of this box. Unlike other beauty boxes, you’re not signing up to a contract with TiLi Box; if you like what you see then you can purchase it for a small, one-off fee which could save you money in the long run. Well, how many times have you made a beauty purchase and regretted it? I’m sure many of you are raising your hands right about now. The fact is, not all beauty products work for everyone; we all have different preferences, skin types, sensitivities, etc which makes it impossible for all products to suit all people, all of the time. 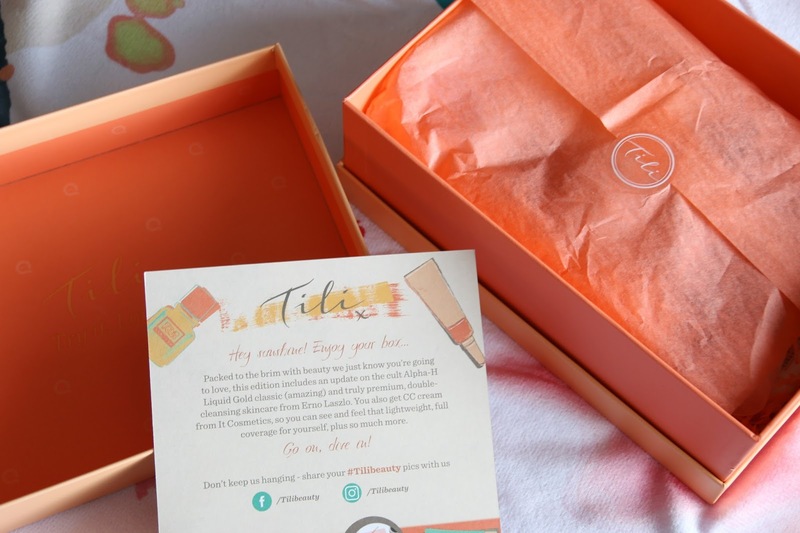 With TiLi Box, you’re able to try out generously sized samples before committing to the full size, which could save you a pretty penny in the long run if you don’t end up enjoying the product. Similarly, you may just discover your new holy grail beauty product! 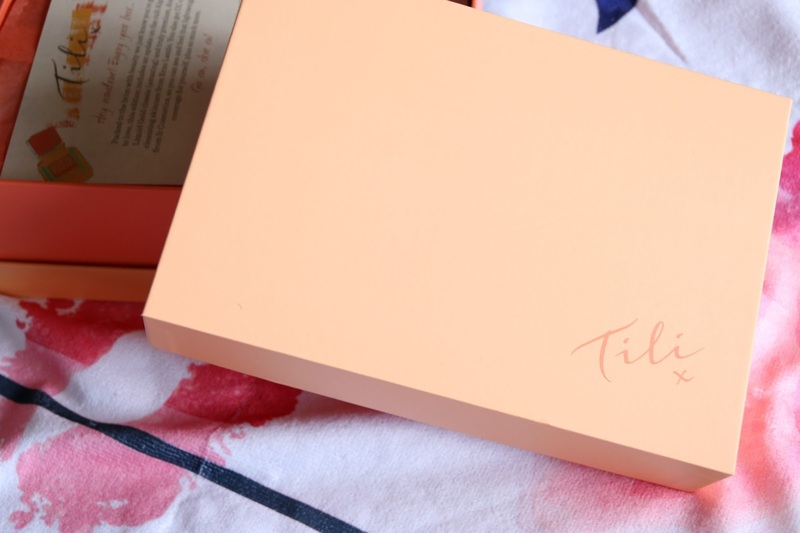 This box is the 4th edition and its clear to see that the TiLi Box team of beauty experts have dedicated a lot of time to carefully curating its contents. Inside, you’ll find the perfect mix of makeup, skin, hair, nail and body care, all beautifully packaged along with an overview card that also details the ingredients of each product. If you’re someone who loves to be one of the first to try new launches, then you’ll love that they’ve included the NEW Alpha H Liquid Gold Rose, a QVC exclusive, which I actually attended the launch of in London last March. The formula is a little more of a gentle chemical exfoliator than the original and it has added rich and aromatic botanicals, antioxidants, minerals and clinically proven moisture boosters in the form of rose, sacred lotus and orchid petal. If you’ve tried the original Alpha Liquid Gold then I do think that you’ll enjoy this version and if you found the original too strong then this one is definitely worth a try; the generously sized 50ml bottle will give you more than enough product to really decide if it works for you. Simply apply to a cotton pad and sweep it over your face, neck and décolletage on alternate nights. Follow up with your usual skincare or skip it for maximum benefit overnight. I have a full review coming up on this product soon on my blog as I’ve been using the full size for the last month. When using a product such as the Alpha H Liquid Gold Rose, wearing sunscreen the day after is even more important as the skin will be more sensitive and therefore susceptible to burning and sun damage. For that reason, I love that there is a 25ml tube of the Ultrasun Face SPF 30 included within the box. The Ultrasun face sunscreen is absolutely fantastic as it is suitable for all skin types, even very sensitive skin, and it is very high performing. My hubby and I used the full size version throughout the few weeks we spent in the Maldives at the beginning of the year and didn’t burn our faces at all. SPF is worth investing in to get the best possible protection and this once-a-day cream with heavy duty UVA and UVB protection is perfect because it maintains the skins moisture levels. It smoothes onto the skin beautifully and since it is lightweight, it absorbs effortlessly and doesn’t clog the pores. Only a small amount is needed so this tube would make a great travel size for your suitcase this summer. I’m heading off to Bali very soon to stay at the amazing Bliss Sanctuary For Women in Canggu. After hearing so much about it on their Youtube Channel, I cannot wait to experience the relaxation and to try out yoga for the first time! 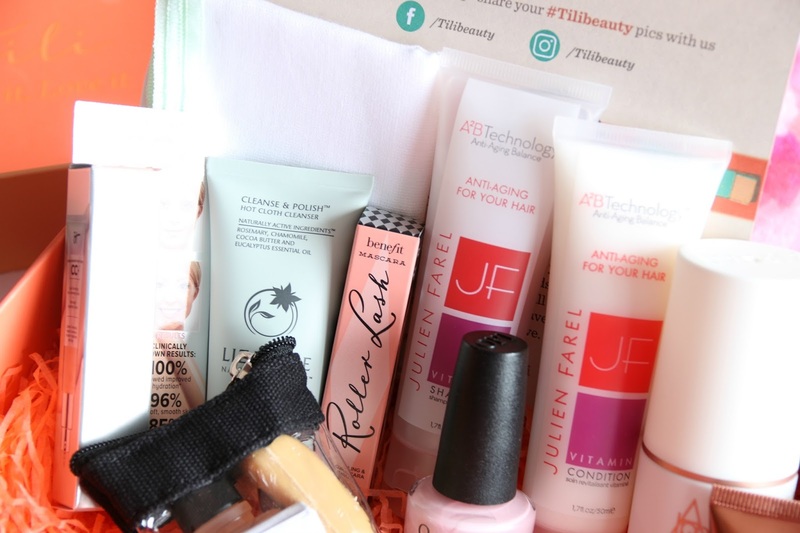 The great thing about the TiLi Beauty Box is that on the website page for the box here, they not only list what each product is and what it does but also how to use it as well. While it wouldn’t be necessary for the Julien Farel hyaluronic acid enriched Vitamin Shampoo and marine collagen enriched Conditioner which, lets face it, is pretty self explanatory, it certainly is needed for some other products such as tanning and skincare. ‘How to use’ information is something that I find is lacking with other beauty boxes and it can result in the product not being used in the correct way which can cause skin reactions at worst and at least, it can mean that you may not use a product at all or you may decide that you don’t like a product when actually, you’re just not using it in a way that makes it perform at its best. I turned to this information when I was looking at the Erno Laszio Cleansing Oil and Cleansing Bar as I wasn’t sure which way round to use these skincare products. They’re essentially a high end double cleanse regime and you use the two products together morning and night to remove dirt, makeup and impurities from the skin. There are two different sets so each person who purchases a TiLi Box will either receive the Firm set which has a formula that helps to plump and firm the look of your complexion or the Hydrate set which helps to restore moisture to the skin. Both are used in the same way; simply massage a couple of pumps of the oil onto dry skin, then wet the cleansing bar and rub it directly onto the skin to combine it with the oil, before rinsing and patting dry. Another skin cleansing product comes in this edition of the TiLi Box in the form of the Liz Earle Cleanse and Polish Hot Cloth Cleanser. This is a cult classic that I’m sure most of you will have tried out and if you haven’t, this box is a great way to try it. The contents of the tube are all you would need for a weekend away this summer and you get a pure muslin cloth included too which helps to exfoliate the skin gently while the cleansing cream is effectively breaking up the makeup and dirt on the skin. The product that I am most intrigued to use from the box is the Vita Liberata 10 Minute Tan, infused with rosehip and neroli extracts. You read that correctly; 10 MINUTE TAN, unbelievable! It is a self tanning lotion that you can apply to the skin and leave on for only 10 minutes to achieve an odour-free golden tan that develops within four to six hours. Not only do QVC have the hair, skin and body covered but the TiLi Box contains makeup and a nail polish too. I’ve been a fan of the Benefit They’re Real Mascara since I picked one up in duty free earlier this year and I can’t wait to see how Roller Lash compares! The nail polish in the box is by OPI in the shade Getting Nadi On My Honeymoon. I love OPI polishes as the formula, drying time and staying power of them is really top notch. Plus they’re not cheap polishes, so getting one as part of this box makes it even better value for money. Each TiLi Box will contain one of the shades from the new spring/summer 17 Fiji Collection and this one is a gorgeous lilac-toned pastel pink. I can’t wait to wear it when I get back from my holiday as I think it’ll look incredible with a suntan! Another product that I’m really excited to try out is the IT Cosmetics Your Skin But Better CC Cream. I’ve heard blogger Anna Gardner from The Anna Edit talk a lot about IT Cosmetics and this product in particular so I’m looking forward to seeing if it lives up to the hype. The shade in the box is medium so whether or not that shade is right for me, only time will tell but I’ll certainly be able to test out the coverage, finish and longevity of it, regardless of what shade I use! 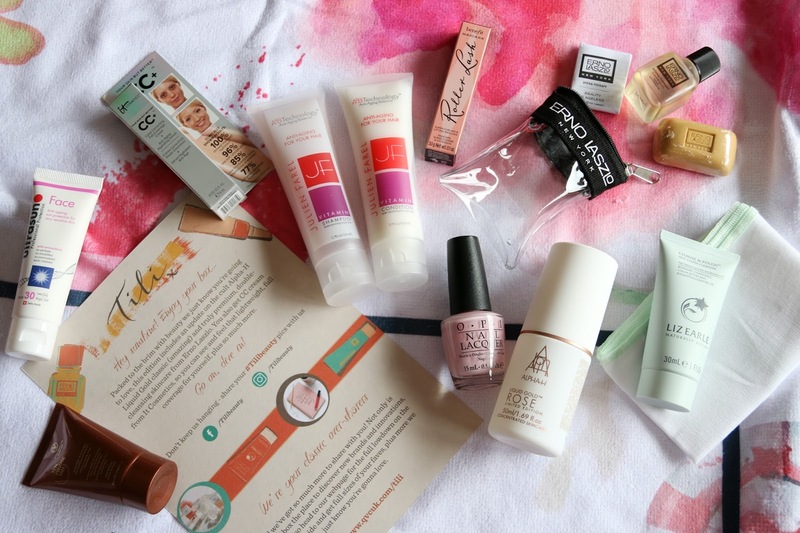 The QVC Beauty TiLi Box is only £20 and with such a great selection of deluxe sample sizes to try out inside from some of the top brands, I think that it is great value for money. Not only does this box give you the opportunity to try out a varied range of products before committing to purchasing the full size but it is also giving you the chance to do so without a subscription. You can’t say fairer than that! 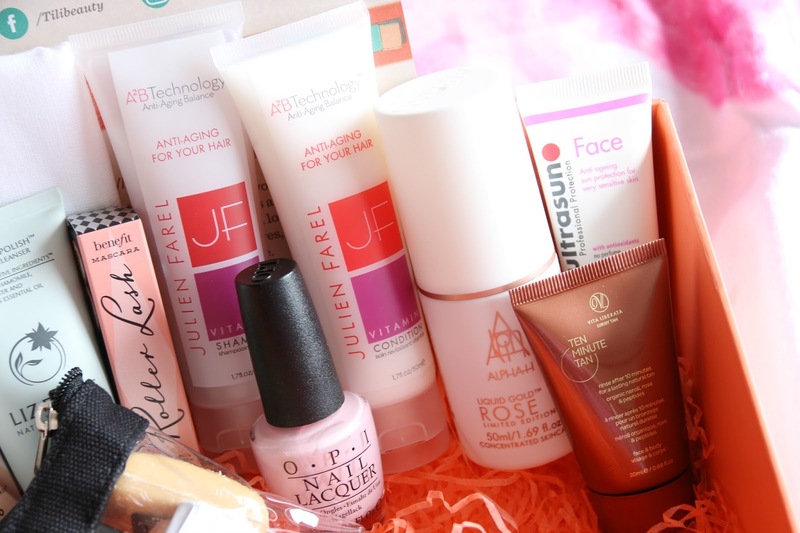 If you love what you see inside this edition of the QVC Beauty TiLi Box, then order yours here! The QVC tili box looks great with so many good products in it. Definitely going to show this to my wife and see what she thinks. Now that looks like an exciting box. Looks like there is a wonderful variety in there. I need to try hat benefit mascara!!! Not having to subscribe is what sets Tili apart from other goodie boxes and I think is super cool.It is fantastic that they even include the 'how to use'. I love how this box comes with great products that will be used! So exciting!